This L-plan castle with its decorative stone crown is located 8 miles east of Inverness on the B9006 road. 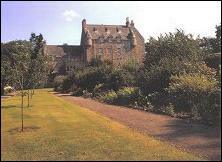 Seat of the Clan Fraser from 1620 until 1702 when it became the home of the Mackintosh Clan. It was built in 1621 by the 8th Lord Lovat and was the mustering point of the Government troops before the battle at Culloden in 1746. By the 19th century the castle had lost its roof and upper floors, but it was later restored by descendants of the earlier Macintosh lairds. It used to be open to the public until it was sold in 1996. 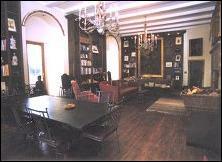 It is a grade A listed building with many fine rooms. It is a contemporary of Castle Stuart. Also see the agents: George Goldsmith. Lovely at any season, Dalcross Castle's pink sandstone walls glow in the clear Highland light. Set in an 850 acre private estate, the castle offers tranquil seclusion yet is only a short drive from Inverness Airport and Inverness itself, the 'Capital of the Highlands'. The castle, built in 1620 comes complete with turrets, massive studded oak gates and doors, a stone spiral stairwell, fireplaces, arrow slits and shot holes as well as a magnificent Great Hall ideal for entertaining up to 20 guests. It epitomises the romantic Scottish castle down to its historic associations with two great Highland clans, the Frasers who built it and the Macintoshes who held it during the Jacobite uprising of 1745. Dalcross Castle is an ideal location for special events such as weddings or anniversaries or just a truly unique and exclusive holiday in a setting of complete comfort and luxury. The owners have brought the accommodation into the 21st century with beautiful fabrics, superb bathrooms and a spacious state of the art kitchen, while retaining the castle's special atmosphere with subtle lighting, fine antique furnishings and art works. Guests may linger by the log fires or in the extensive gardens, first laid out in the 18th century and now planted with many rare and unusual specimens. The gardens, including a lovely ornamental pond, are perfect for a wedding marquee and photography. 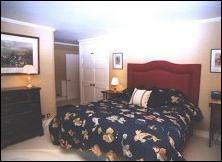 Guests may also explore the estate, woodland home to owls, hawks, wild duck, song birds, red squirrels, badgers and deer. The Internet Guide to Inverness & Area: accommodation, sightseeing, transport, tours, etc.